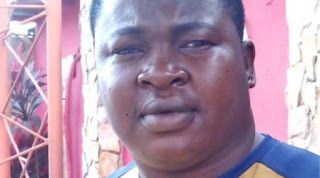 Comic actor Baba Dee claims he was seduced by a female fan - LMAO!!! ~ CK Jacob: Nigerian Fiction And Lifestyle Blog. Comic actor Baba Dee claims he was seduced by a female fan - LMAO!!! Is Baba Tee joking or serious about this? Speaking with Sun newspaper, he disclosed that a lady once paid some amount of money into his account for a show which was never real. He explained that the lady told him about a show which he was to perform. The lady paid in some money into his account before he traveled to Oswego. After that, he met with the lady and he was told there was no show but an avenue just for her to meet with him. “A lady once contacted me for a show and paid money into my account to come and perform in Oshogbo. On getting to the hotel where she booked a room, she came to me and asked that we sit at the bar and while we were chatting, she said she did not have any show for me. She just wanted to see my face so that I will crack jokes for her alone. She also tried to seduce me, but I turned her down stylishly and returned to Lagos,” he stated. It must be a Joke!! !